I’ve been fortunate enough to experience a lot of the world through travel and working overseas. Having lived in China for 4 years, I know that my friends in the ultramodern city of Shanghai have completely different life experiences than those of the rural students I taught in Hunan province; or the monks and nuns I dined with over a fire in the frozen mountains of Gansu province. World record for the most people playing chess simultaneously? Check. Fidel Castro vs. Bobby Fischer? Check. Home of the “Human Chess Machine” and one of the greatest players of all time? Check. Che Guevara once said “Naturally, chess is a hobby, but it is also a teacher of reason, and the countries that have good chess teams also lead the world in other more important spheres”. According to chess.com, Cuba is currently ranked 20th in the world. About a decade ago, the training of chess professors with a university degree began, and there are around one thousand of them in Cuba today. So, you’re the kind of person who has a travel list. You dream of seeing every attraction that the United Nations Educational, Scientific and Cultural Organization (UNESCO) deems worthy. You make it a point to visit well-known architectural structures like the Taj Mahal, Stonehenge, or the Great Wall of China and you enjoy visiting areas that are best known for their diverse wildlife, like the Galapagos Islands in Ecuador. Heck, maybe you think traveling to Tajikistan to see the ancient settlement of Sarazm is worth the sense of elation and accomplishment you feel when you take the tip of your pen and scratch another site off you’re well-wrinkled UNESCO check-list that you keep neatly folded in your pocket. 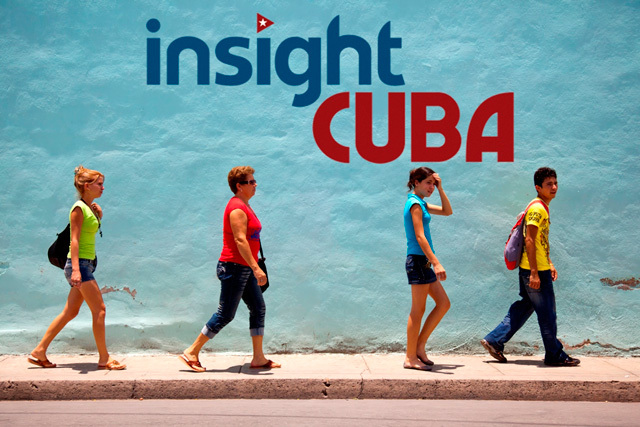 With each passing day, insightCuba continues to eagerly anticipate the arrival of our People-to-People Travel License from the U.S. Treasury Department. Until the big day arrives, we thought it would be a great idea to resume writing about Cuba, today’s topic: the Malecón. First, we'll set the right tone by listening to these musicians and checking out the scenery. Questions? Enter your number and we'll call you! Most Americans only dream about traveling to Cuba. Well, that dream is about to come true. Cuba is generally known by U.S. citizens for its tumultuous history, Fidel Castro, cigars, the Buena Vista Social Club, and classic cars. However, very few people have had the opportunity to learn about Cuba firsthand by traveling there and meeting the people who call it home.